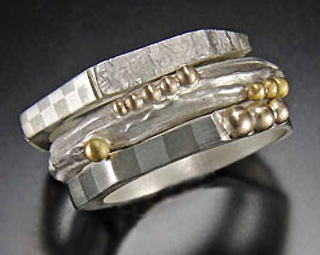 Anne Behrsing has been handcrafting fine art jewelry in her studio for more than 25 years. Studying with renowned jeweler Glenda Aronson, inspired Behrsing to work with and love a process known as ‘Mokume Gane Parquetry’, the ‘marriage of metals’, by creating patterns in the metal. Fabricating the checkerboard and striped patterns is an intricate process similar to fine wood inlays. 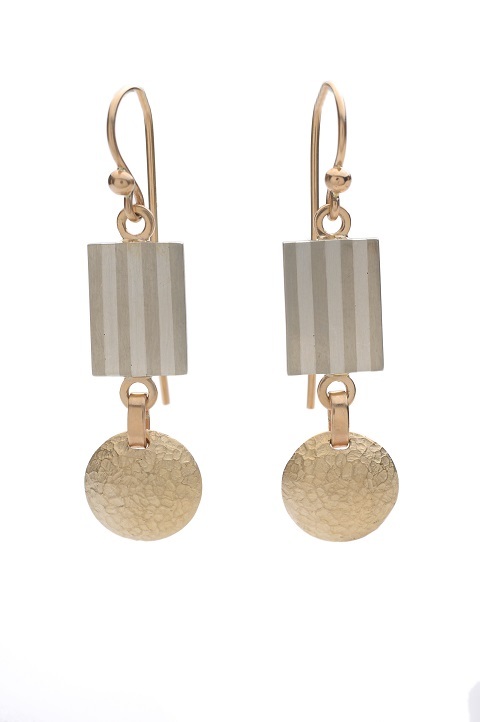 The textures in the metals are created by a lost wax casting technique, and enhance the pieces with a subtle matte contrast to the smooth polished patterns in the metal. Touches of 14k or 22k gold are added to each piece to bring the marriage of these metals and patterns to a happy ending. 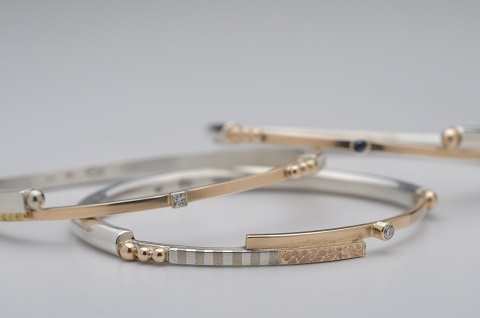 The combination of sterling silver, fine gold, textures and inlays form a comtemporary style style that is immediately recognizable. Each one of a kind piece of jewelry is handcrafted with attention to craftsmanship and design.